The street, Camino de Santiago passes through the village from one end to the other. The bar CTR Pereje has a terrace. At the exit of the town is el albergue, situated just in front of a curious drinking fountain, which works using pistons. Legend has it that Queen Isabella tried to take the Chalice of O Cebreiro to the plateau, but on reaching Pereje her horses refused to continue the journey. The monarch interpreted this behaviour of the horses as a sign from God and ordered the piece to be returned to its place. 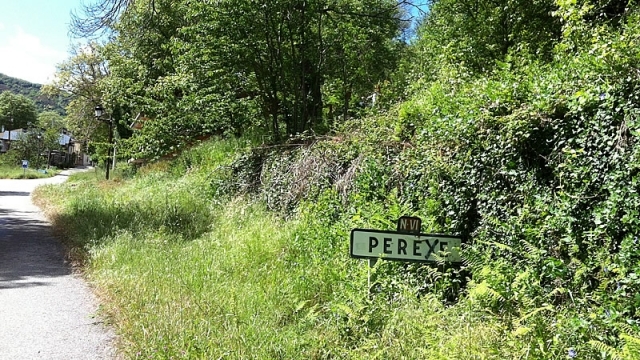 In its day, Pereje had a hospital and a prison for pilgrims. There also stands the Church of Santa Maria Magdalena, of clear pilgrim influence. If you are traveling on the Camino de Santiago or are planning to do so soon, you should know that the distance separating Pereje from Santiago de Compostela is 180 kilometers.